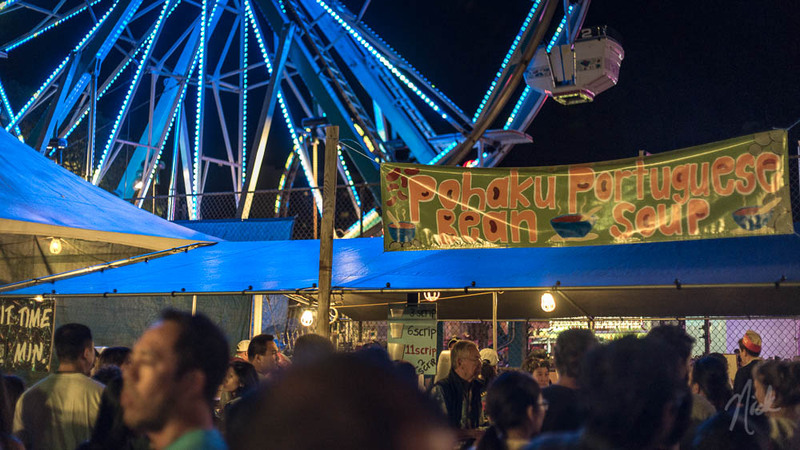 Every year, on the first weekend in February, the high-school junior class at Punahou School organizes a huge carnival. Featuring food & game booths run by the juniors, and rides by E.K. 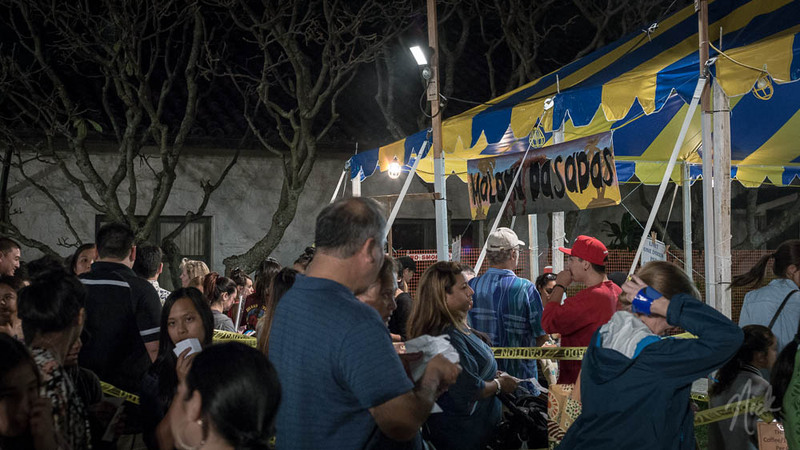 Fernandez, the carnival attracts thousands of locals and visitors. 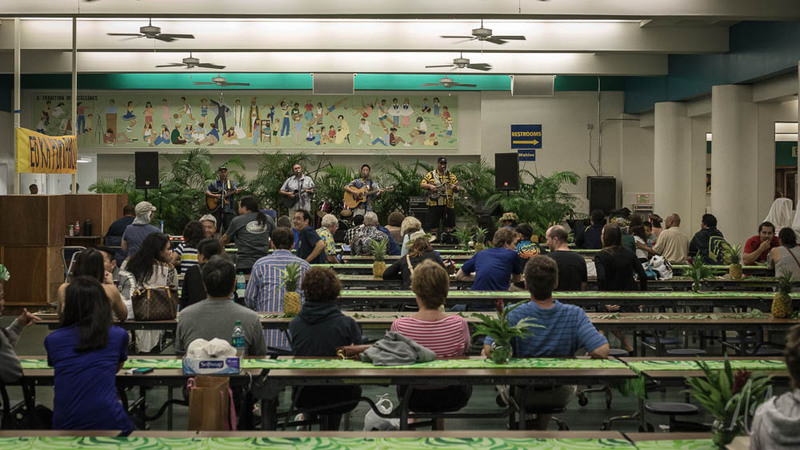 It’s the primary fundraiser for the Punahou School financial aid program, and brings in tons of income for the local economy. There’s always a line at this booth, so be prepared to wait or plan ahead. The best time to get your share of the best Portugese bean soup is during the day because it’s too hot to eat soup! I recommend taking a large home and freezing it for future meals! This is another one you have to plan ahead for. They usually sell out on the first day, so get in line before carnival opens if you want to grab a jar or two of delicious mango jelly! If you’ve got a family, or need some brownie points with your niece/nephew, the carnival features tons of rides and games sized-down for kids. It’s best to bring them during the day, when crowds are not as big, but remember sunscreen! The naysayers will remind you that it’s just “May’s” teriburgers, which you can buy from any grocery store. However, there’s something about walking around, enjoying a teri-cheeseburger at Carnival that makes me happy. 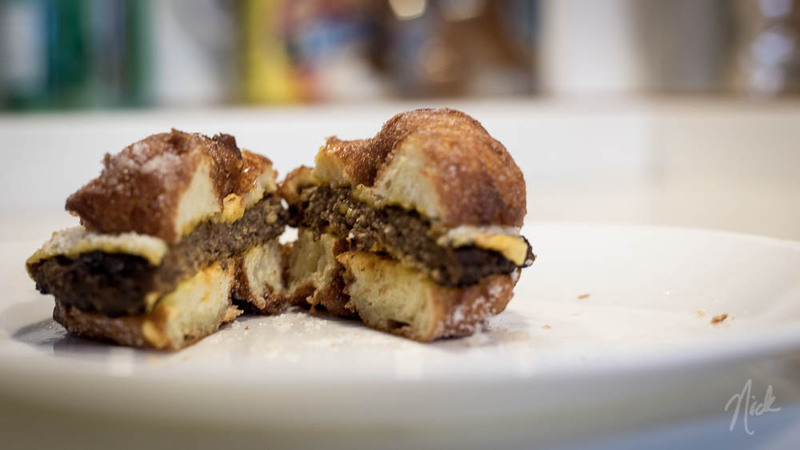 Try taking one home and exchanging the buns for a malasada. Hashtag winner! No, it’s not a circus, they don’t have a white elephant. White elephant is the second-hand booth featuring donated items for sale. Everything from clothes to appliances are available, and the best stuff usually sells out early! Half chicken, roasted to perfection, with all the fixings. It’s the most expensive food item at Carnival, but well worth it, especially as a take home plate. The Midway is the nickname for the EK Fernandez game tent. The games are bigger than the kiddie versions, so it’s probably better for teenager and older people. The prizes are usually stuffed animals, and I always try to win a huge bear at the milk can toss! 2015 will mark the first year that ManoaDNA will not be performing since we started in 2006. However, there are still REALLY great musicians that grace the stage each year and entertain at the Hawaiian Plate booth. The usual suspects are Henry Kapono, Sean Na’auao, and Maunalua, but there’s always a great variety of music. I’ll be honest, as life goes on, the less desire I have to go on this, but the nostalgia still remains. This was THE ride when we were growing up, and is still flipping kids over to this day! The motherload, the pinnacle, the epitomy of Punahou Carnival can be summed up in these little dough balls. Covered in sugar and deep-fried to perfection, these portugese donuts are a must-have no matter what. Brave the lines, bring some home, and enjoy them every year!